You must make reservations at least 5 minutes in advance of the time at Milagro on Queen West. Metered street parking on Queen Street, free parking on side streets. Tecumseth stop on Queen West Street Car, walk half block west to 783 Queen St. on the south side of the street. 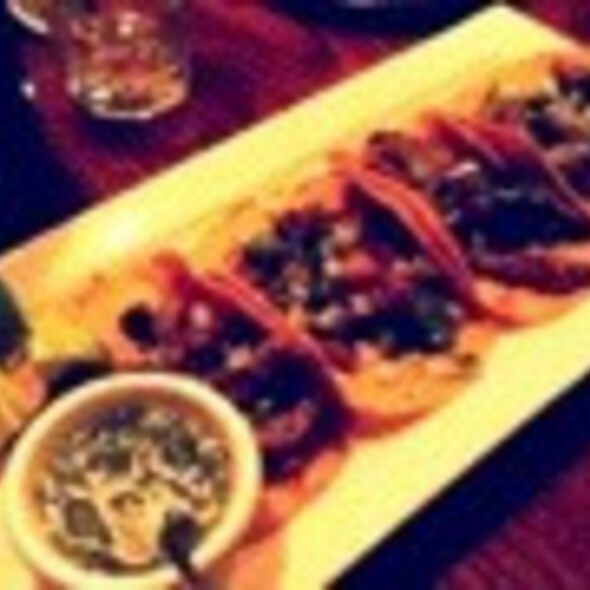 Milagro offers classic Mexican cuisine for parties of any size. Milagro Queen west has a beautiful 2nd floor ideal for closed-door functions & an intimate 3rd-floor mezzanine perfectly suited for smaller cocktails, dinner or meetings. 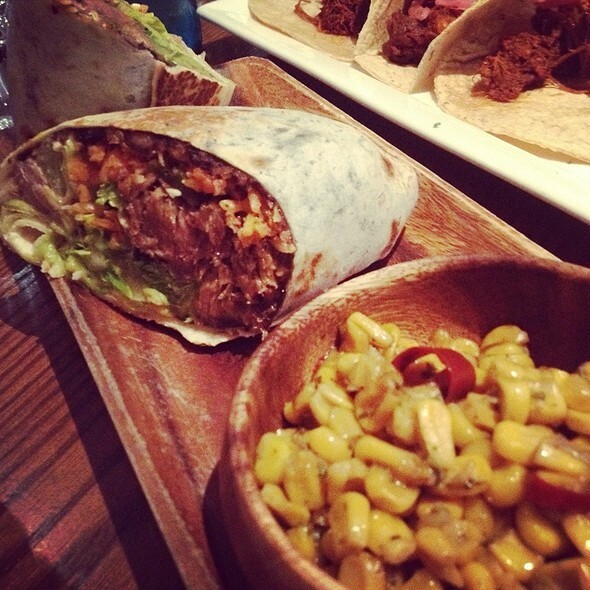 Milagro Queen West, part of the Milagro Cantinas family, is inspired in the golden era cantinas of Mexico. Our friendly staff offers classic food & refreshing beverages at reasonable prices in a warm, relaxed & easy going atmosphere. Milagro is colorful with an eclectic & somewhat funky style. Our dishes are abundant, flavourful & colourful; we use traditional recipes & techniques. At our cantina bar you can enjoy Tequilas, Mezcales, wine sangrias, margaritas & classic mixed cocktails. Milagro is Zagat rated & featured in Toronto Life, Now, Globe & Mail, El Pais (Spain), Toronto Star & many others. We serve dinner daily at 5:00pm & brunch Friday through Sunday from noon to 4:30pm. 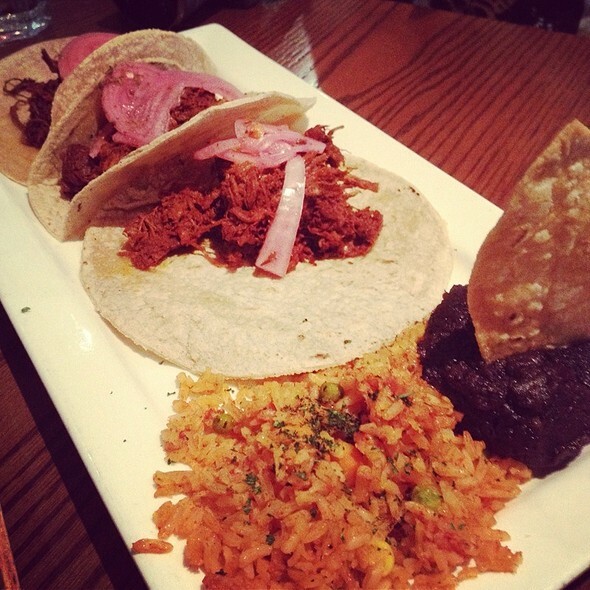 Milagro is located at 783 Queen St., west of Bathurst St., in the heart of the West Queen West District. Visítanos pronto! 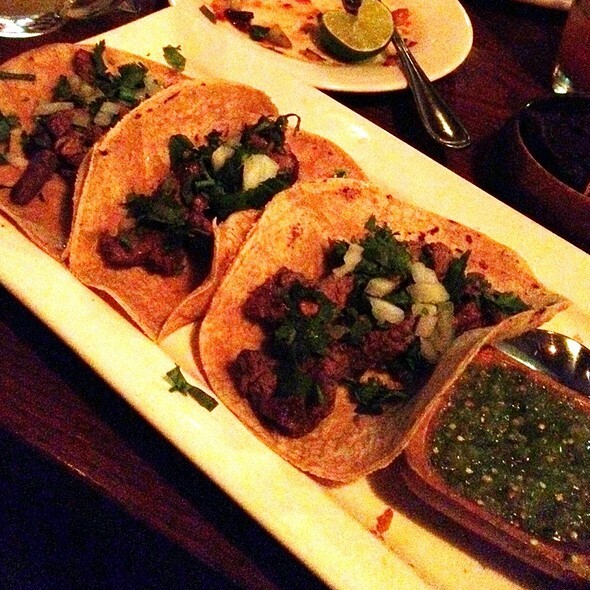 Always excellent food at Milagro, had another amazing meal. Great food. Great drinks. Only thing I would say is pretty pricey. Food was OK but not amazing, generally over priced. Nice atmosphere. Everything was amazing and super tasty delicious! The only thing I didn’t enjoy was the house sangria. My gf and I tried both the red and White House sangria... no bueno lol well definitely be back but swap up the drink choice! The coffee here is a must have!! Since, they offer good variety. Food far too greasy, I can actually see my mushy bean shining with oil! Otherwise, the food taste fine! I used to come to Milagro often but haven’t been in a couple years. We were a group of 5 and ordered tacos. When the tacos arrived, they were all cold. One of my tacos was the Rosarito which is a shrimp taco (with 3 pieces of shrimp on it). I had simply taken one bite and we sent them all back. When they returned our food, my taco came with the tortilla replaced but with one less shrimp. They just reheated the tacos including the one I had taken a bite of. It costs $8 for ONE of these shrimp tacos and they couldn’t replace that one cold shrimp? When you’re charging $8 for one taco, (ridiculous, by the way, as they used to be much more affordable) at least satisfy the customer by replacing the full dish. A good restaurant would never do this. The quality of the dishes has gone down significantly and I won’t be returning to Milagro. Our server was amazing, not too overbearing but attentive. The food was okay. Overall good experience. The restaurant was closed even though online they were open and I was able to reserve a table. We cabbed all the way there to see them shut the door in our face. Very disappointing. Food was bland, greasy and way, way overpriced. I massively regret booking here when there are so many good options in the area that have good food and are much better value. The Alambre dish was just nasty, a disgustingly greasy, flavorless mess of a dish. Refritos were inedibly salty. Al pastor taco left a huge pool of oil behind on the plate and all over my hand. "Mexican rice" was hard and had a weird, plasticy taste. Even the tortilla chips hadn't been fried properly, soft and chewy rather than crispy. At least the guacamole was decent. But overall one of the worst restaurant experiences we have had in a long time. Food was good but service was awful; appetizer never came, the rest of the food took a long time, the tortillas where cold and at the end we were charged for the appetizer that never came. 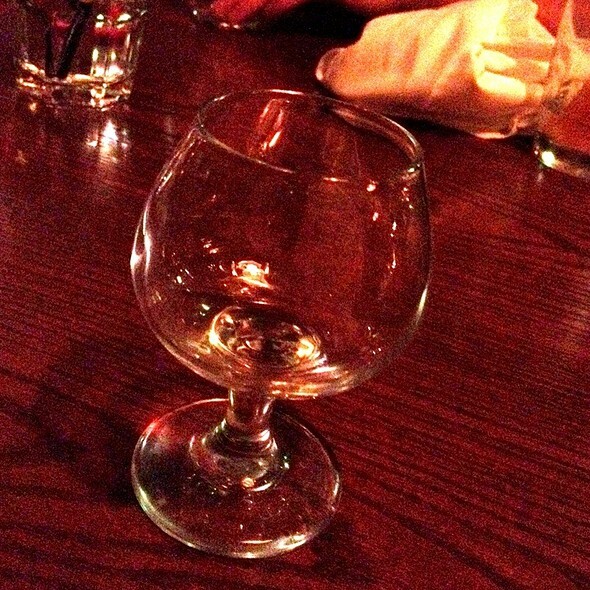 If you want to go to Milagro, I recommend the Mercer location where the service is flawless! 2flies in my margarita . Food was ok, felt like the rice had been around a bit too long. Excellent restaurant. It was extremely authentic and the flavours are amazing. It felt like being in Mexico again. Great Mexican restaurant, good service, great choice, definitely will come back. I love Milagro. 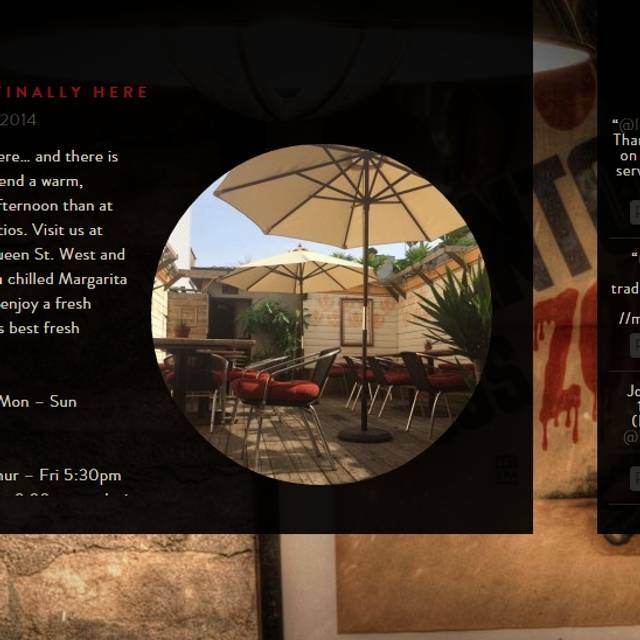 I haven't been to either of the other locations, but I love the atmosphere and service at the Queen West spot. The food is delicious, and very fresh. 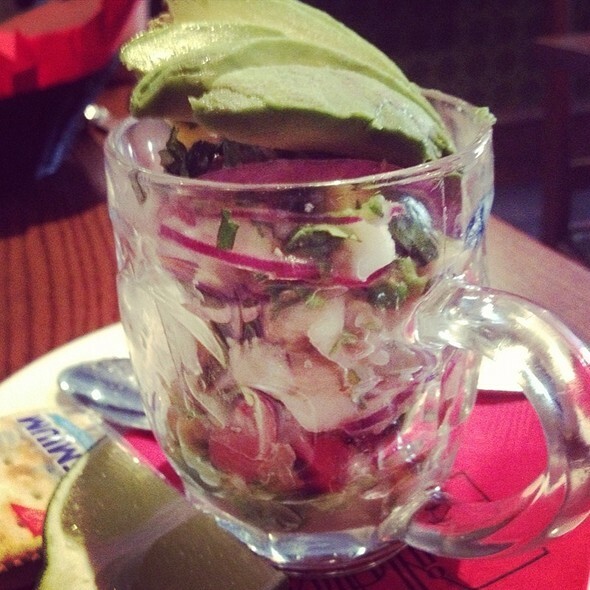 Great flavours, very generous portions, and incredible guacamole. This place never disappoints -- we go every few weeks, if we can! Great food and great service. The waiter recommended which meals and which tequila to get! 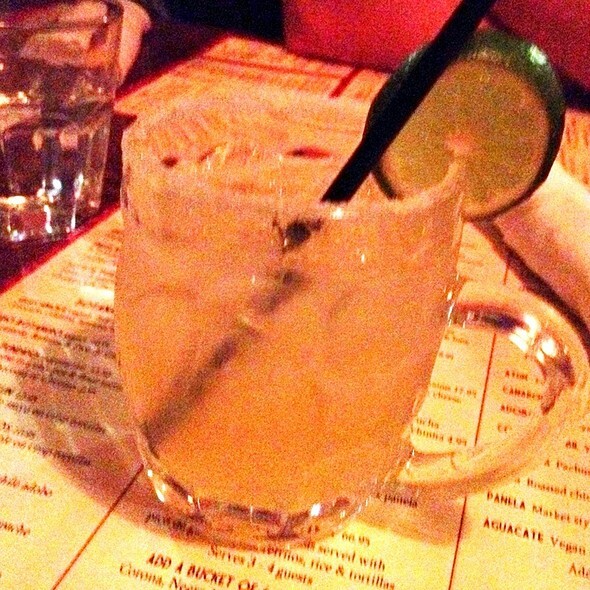 Loved the authentic Mexican cuisine and tequila/mezcal list! We will definitely be back! Fantastic waiter. Very attentive, great food suggestions and a detailed knowledge of the menu. Fun music. Churros are a must have. Excellent Mexican food that goes way beyond the typical burrito/taco/enchilada options. Flavorful fish, seafood and pulled pork stuffings, fresh salsas and great spices. Service is casual but knowledgeable and friendly. Great atmosphere! Fantastic place! Went there for my son's birthday. The hosts listened to what I wanted for him and his friends. I think it was a great place for young adults and their parents too. A really good variety of authentic Mexican food. Milagro is my go to place for Mexican food. Love their consideration for vegetarians and vegans. 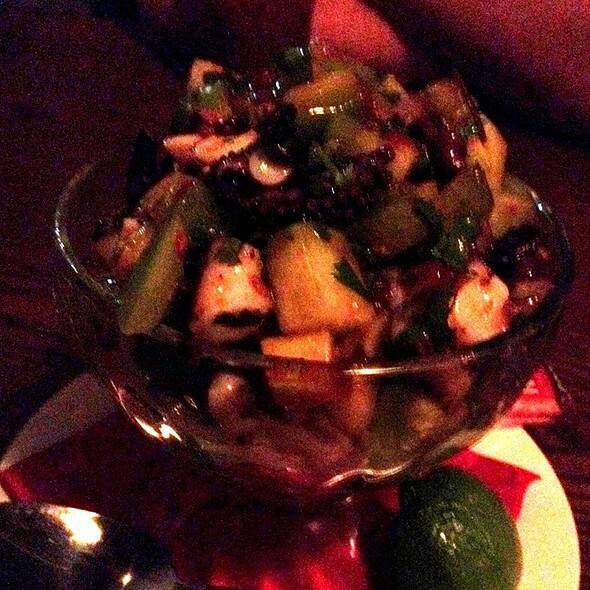 The tamarind based cocktail is delicious and so is everything on the food menu. Mexican food, expensive but great menu. Ceviches, tostadas y tacos capital "the best"
Awesome service, awesome food. Our waiter was lovely. Amazing food and gives a good Mexican experience!! Delicious, authentic Mexican food. Our waiter was very knowledgeable and friendly. The space is tight for a stroller (not unusual for a Queen West restaurant ) but the staff did what they could to make us comfortable. Would definitely like to return!!! Favourite restaurant in the city! Will keep coming back! Everything was great but there was no music like there normally is here so very quiet. Try the refried beans. Seriously. You will never look at beans the same way again! Honestly the food wasn't great. Would not recommend if you like authentic Mexican food. The guacamole, well let's just say I've had better from a grocery store. My friend and I went here because it was near where we were and wanted some good Mexican food. I regret spending $50 on two tacos, a burrito and churros. Usually I like to tip, I Barely left one. The service was so slow, it wasn't even full. If the service was good I could overlook the bad food. The whole atmosphere just was bad, will never go again and will not recommend. I wanted to like this place but the food was pretty terrible. I had chicken tacos and the chicken was dry and grey, and the taco itself was extremely bland. I understand Mexican cheese is a bit flavourless but there was absolutely no seasoning or spice, and the lettuce was doused in olive oil which I found odd for a taco (but at least it was great olive oil!). Margaritas are okay but very weak for the price. My friends shrimp taco smelled and tasted really fishy, and the service wasn't very attentive. I will not be going back here. This was our second visit, on this occasion for my Mom's 79th birthday. service was friendly, ambiance was good, table was comfortable. only drawbacks were: they ran out of the crème brulee, a second choice was offered, but not similar, and a "sorry" was what was offered. food was delicious, but a tad overpriced as per the portions. I was in for Winterlicious previously, was surprised the restaurant wasn't participating in summerlicious. would return, but would like to see some variety in the menu and better sized portions for the price. The waiter was very knowledgeable and the food and drinks were tasty. The dishes seemed authentic and overall we had a lovely time. We went specifically for the patio, so I was disappointed to discover that they no longer have one (although their website still claims that they do). Otherwise it was all great. Decided to check out the Queen West location after many great experiences at the Mercer St restaurant. Happy to say food and service was great s usual.